This summer I decided to plan for my next level of outdoor emergency care and I was faced with the choice of taking a WFR (Wilderness First Responder) course or OEC course (Outdoor Emergency Care). Because I have always been interested in volunteering in a ski patrol I opted for OEC – it also seemed that the training was similar in nature to WFR. OEC is the National Ski Patrol mandated course, meaning that all NSP ski patrolers need to be OEC certified (some are EMTs which is kind of the same). After looking for a class on the NSP site I found that the patrol I wanted to join in Mammoth did offer a class in Burbank and it seemed very convenient except that I was going to be out of town for too many classes (running UTMB for instance) and I wasn’t sure I could commit to two nights a week (and teaching also two nights a week). So I settled on a two weeks intensive in Squaw Valley in November – I found the class through the NSP web site. 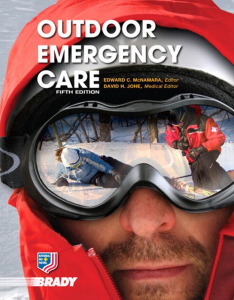 I got in touch with the instructor and he had a web site set up and directed us students to read the OEC book on our own, some 1300 pages of emergency medicine instruction. I read the book twice over the summer until I became confident taking the exams and scoring about 94% on my own (we had access to a number of past exams). It was a lot of medical information to digest but I loved it, there’s so much to know about the human body and trauma. While it’s always fun and beneficial to write a report after every event I run, doing so for the UTMB seems just as daunting as finishing the course. It’s definitely the hardest ultra marathon I ever ran – 105 miles (168 km) in high mountains, 31000 feet of steep climbing and descending, semi-autonomous mode – it took me over 42 hours, having to stop for 15 to 45 minutes at aid stations to fuel, rest and occasionally take a 15 minutes power nap. 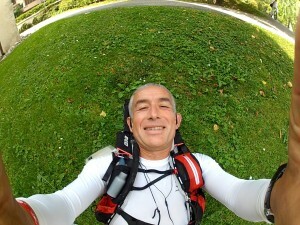 It was hard but it was an adventure like no other and also a dream come true: running around the Mont-Blanc! I finished 1039 out of 2469 participants (only 223 Women). 1686 runners finished (68% of participants). If you just want to look at pictures click here! For a video summary click here! I got to the start line very rested and well nourished after almost a week in a super cozy hotel near Chamonix and daily visits to the center. If you go run the UTMB and have a tight budget I highly recommend the Hotel Beau Soleil in Le Lavancher. It’s operated by Mr and Mme Bossonney and they were so caring and happy to have a UTMB runner that they treated me like their son, cooking simple and delicious dinners that contributed to being well fed at the start. I also slept extremely well, between 8 and 10 hours a night before the race. Minnesota hospitals are blazing a trail when it comes to integrative medicine. Only two hospitals in the nation offer acupuncture in the emergency room. KARE 11's Ivory Hecker takes us inside one of them in Shakopee. Yang Tonic - Tonifies Kidneys and fortifies the Yang, dispels wind-cold dampness and warms and unblocks the flow of Yang Qi.